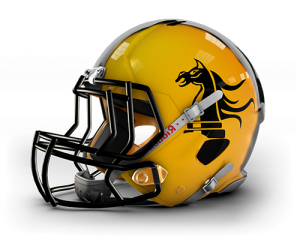 This is the Official Website of the Belfast Knights, ‘The Black & Gold’, Ireland’s longest running American Football club, founded in 1993. The Knights have been All-Ireland National Champions 3 times; Winning the Shamrock Bowl in 1997, 1998 and 2002. In 2017, The Knights made the move from their birthplace, Woodburn Field, Carrickfergus Rugby Club, to Cooke Rugby Club, Belfast.